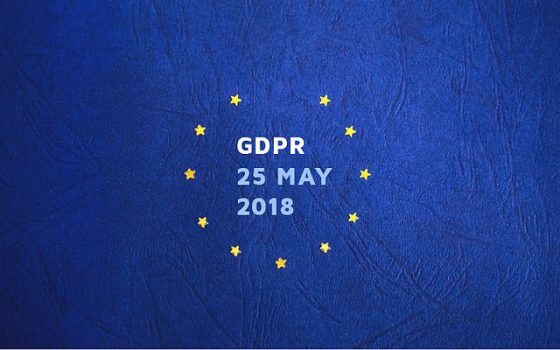 ‘European Union‘ (EU) implemented ‘General Data Protection Regulation‘ (GDPR) with effective from May 25th, 2018. GDPR was designed to protect the ‘Personally Identifiable Information’ (PII) of EU’s citizens. It is applicable to all the businesses not just in EU but in the other countries as well that are taking the personal information of EU citizens. If the personal data of EU citizens is misused by any company, maximum penalty of 20 million Euros can be levied. Under GDPR, companies have to mention which data is being collected (for example – phone no, address, personal preferences etc. ), for how much duration the data is stored, and with which third parties they are sharing the data. Everything will have to be transparent and should be done with the consent of people. From a long time, EU is one of the biggest markets for Indian outsourcing industry. As data privacy laws are weak in India, it is a very difficult process for Indian companies to transform themselves to be compliant with GDPR. There are several rules in GDPR that require Indian companies to hire extra personnel such as ‘Data Protection Officers’ (DPO) to handle the responsibility of personal data. This means extra costs to Indian companies, but it’ll be very helpful in the long run. Though laws on data privacy are mentioned in section 44A of IT Act, they are not implemented well. GDPR reminds us the need for designing stricter laws for data protection. India’s digital literacy is growing at a rapid rate, but not everyone is aware of the vulnerability of giving personal information online. Not just in India, but people throughout are filling forms, giving personal information without knowing how they are going to use the information. The first step is to make people aware of the situation. It’ll be much better if people are guided under ‘Digital India’ program about protecting their personal data. GDPR is like a wake-up call for all countries including India. In India, data privacy is not taken as much seriously as required. As Indian companies are also in the process of being compliant with GDPR, it is now easier to implement stricter data privacy laws in India too. As elections are very near, we cannot rule out the similar incidence of Facebook-Cambridge analytica data scandal. Vested interests may influence and manipulate voters. Not just for elections, personal data can be misused in many ways. Though we have laws on data privacy under IT act, we need stronger laws to protect the personal data of our citizens. Afterwords :- What is your opinion on this topic? Did we miss any point? Express your thoughts in the comment section below. Subscribe to our blog to read answers to trending GD topics. Copyright @ Group Discussion Ideas. Ask a GD Topic !!! Qadri on Should AFSPA be repealed? Rishav on Jio’s business model – Sustainable or Not? Ravindra pal on Democracy in India – Success or Failure? Didn’t find any GD topic here? Please Let us know!!! Our aim is to help students to give their best in Group Discussions. The uniqueness of this site is that we keep the articles updated. Get updates from GD Ideas !!! Copyright © 2011-19 Group Discussion Ideas. All Rights Reserved. Reproduction without explicit permission is prohibited.